On Friday Thomas and Oleg will leave the International Space Station and start the journey home at around 09:30 CEST by entering the Soyuz MS-03 spacecraft that will bring the duo back to Earth. Undocking from the Space Station is scheduled at around 12:50 CEST with landing three hours later at 16:10 CEST. The crew will reduce their orbital cruising speed of 28 800 km/h to zero over the course of three hours. Along the way, their Soyuz will separate into three parts, leaving the orbital and propulsion modules to burn up as they fall to Earth. The descent module with Thomas and Oleg will encounter temperatures of up to 1600°C as friction from the atmosphere heats the protective shield. Watch the closing of the hatch, undocking and landing live below. Follow @esaspaceflight on Twitter for updates. Thomas will fly directly from the landing site in Kazakhstan to the ESA’s astronaut centre in Cologne, Germany, while Oleg flies to the Gagarin Cosmonaut Training Centre near Moscow, Russia for their post-flight activities. 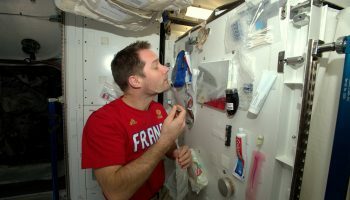 Although the mission might seem to be over, researchers are eager to run more tests to see how Thomas has fared after six months in space – many more blood draws, tests and sample-sessions await. 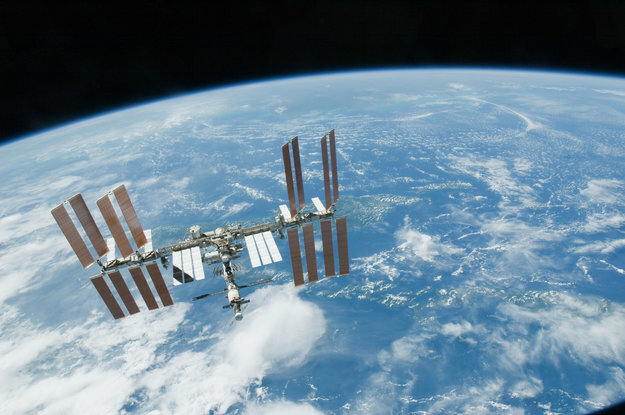 Read more about the Proxima mission and the return to Earth here. Bon retour Thomas, nous allons être suspendus à l’évènement bien que ce soit la nuit pour nous en Polynésie. Merci pour cette belle aventure que tu nous as fait partager avec brio pour notre bonheur. Bon vol de retour et bienvenue sur Terre! Nous t attendons avec impatience! Tu reviens juste pour l anniversaire de Clémence. ..
Superbe atterrissage ! Bon retour parmi nous !